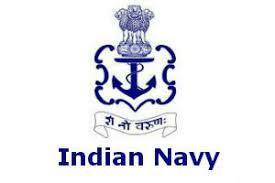 Goa Naval Area Recruitment 2018 | 121 Cook, Tradesman Mate & Other Posts | Matriculation, ITI Passed : HQ Goa Naval Area has published recruitment notifications for the post of Telephone Operator, Fireman, Cook, Tradesman Mate & Other vacancies. More information please read below mention Official notification carefully. Education qualification : Matriculation, ITI (Relevant Trade). More information please read below mention Official notification carefully.